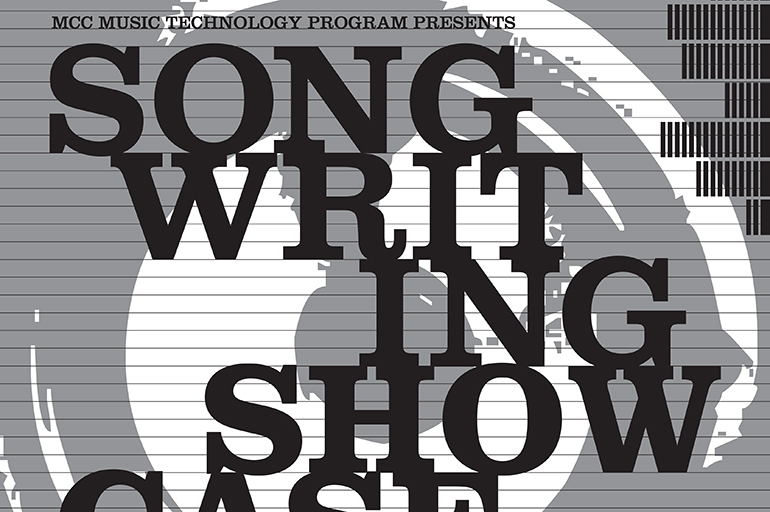 The Music Tech program at Mott Community College hosts an annual song writing showcase at the end of the semester. This semester also included animations from my illustration class that accompanied the music. 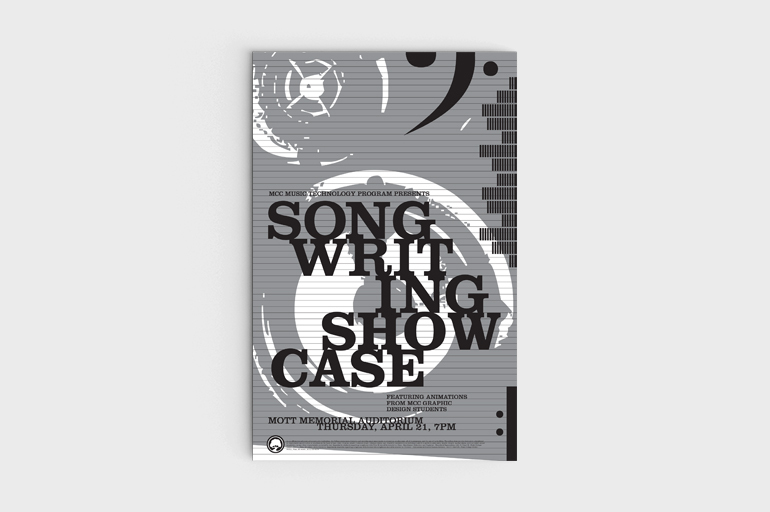 As the music performed was in a wide variety of styles, I decided to focus more on the composition portion of writing music than the styles themselves. 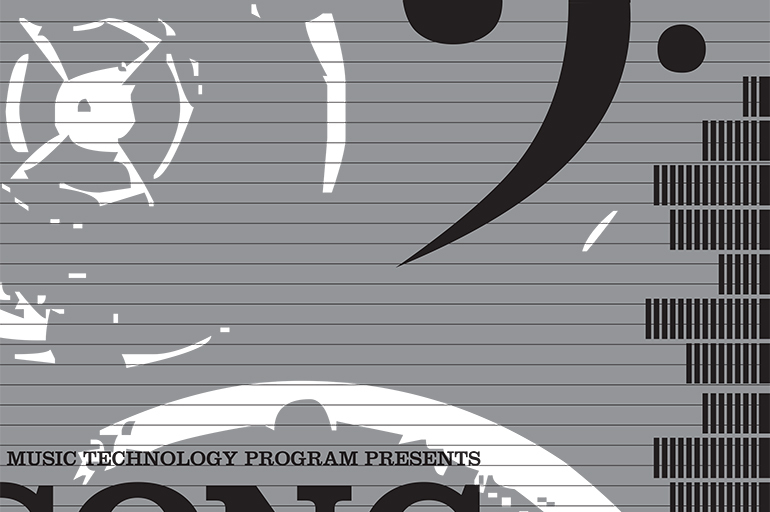 I used elments from music notation in the poster as well as a more abstracted representation of a speaker. The overall design was more focused on composing as well as separate elements making up a whole much like the process of writing music.